and the world is still. Luxuriate in the full text of Ruth Hill's lilting poem here, where you can also explore the insider perspective of a dedicated bicyclist. Wow this is beautiful. The words perfectly compliment the picture! I would love to visit here someday. Add it to a list and make a plan! 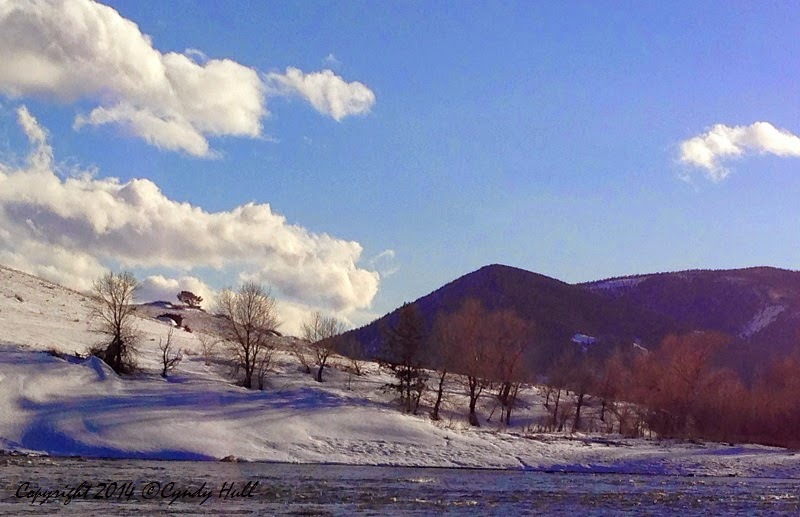 This photo was taken from the river walk at the edge of Livingston, Montana, about an hour from Billings, Montana, which has an international airport. Rent a car, and the blue sky's the limit!